You may run for more than one group, now or later. A friend may be curious about tabletop RPGs, and want to play a solo session to see how the game is run. You may have to run a game at somebody else’s house. 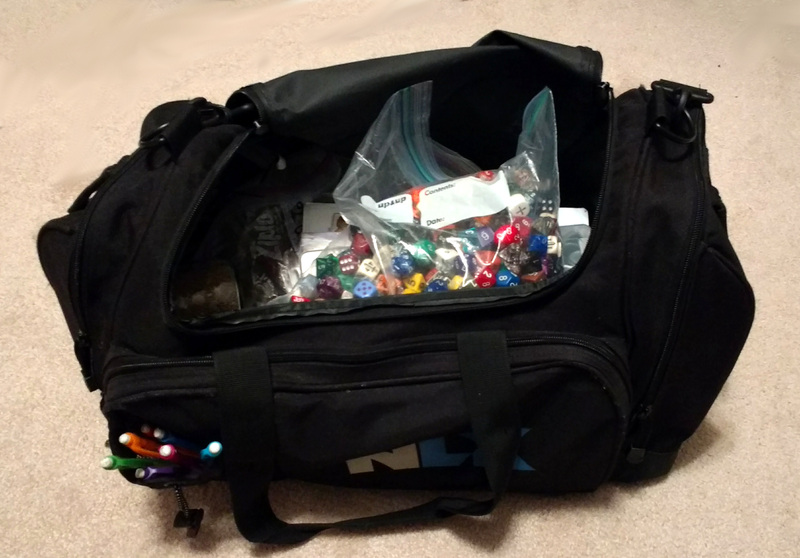 You need all this stuff for RPGs anyway, so why not keep it in one place? With a bag that contains all the essentials, you can run any time, anywhere. Stay tuned for a post that details everything in my GM bag, but you don’t need that to make your own. Go for it!